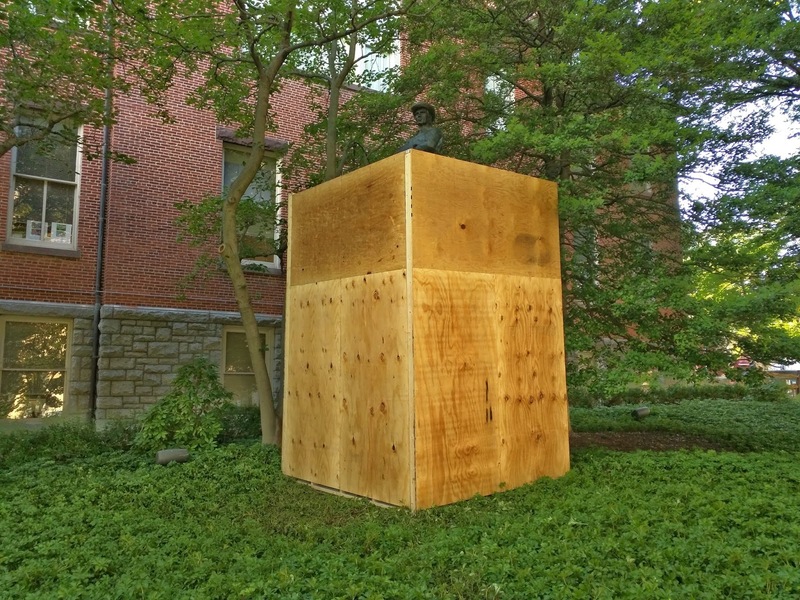 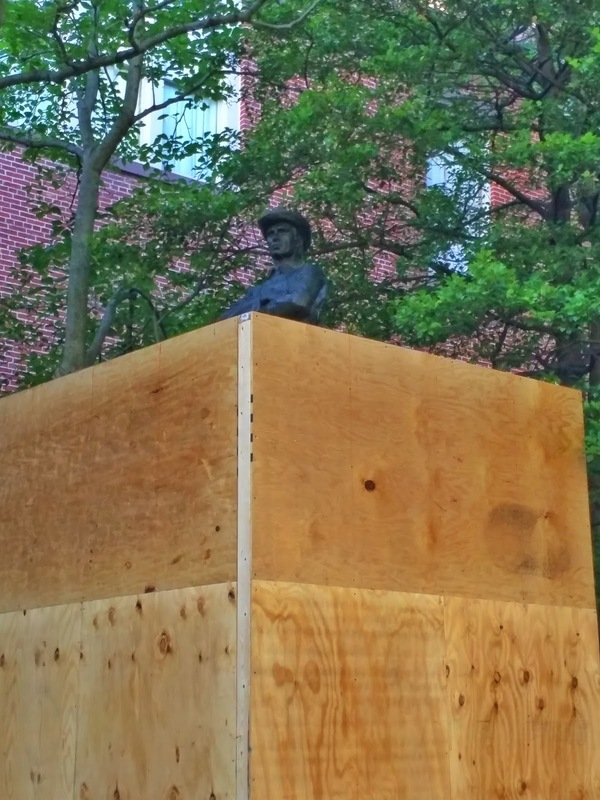 Montgomery County has "boxed up" the controversial Confederate statue on the grounds of the Red Brick Courthouse, placing wooden walls around it. Only the soldier's head is now visible. This is ostensibly to prevent further vandalism of the statue before it can be relocated. 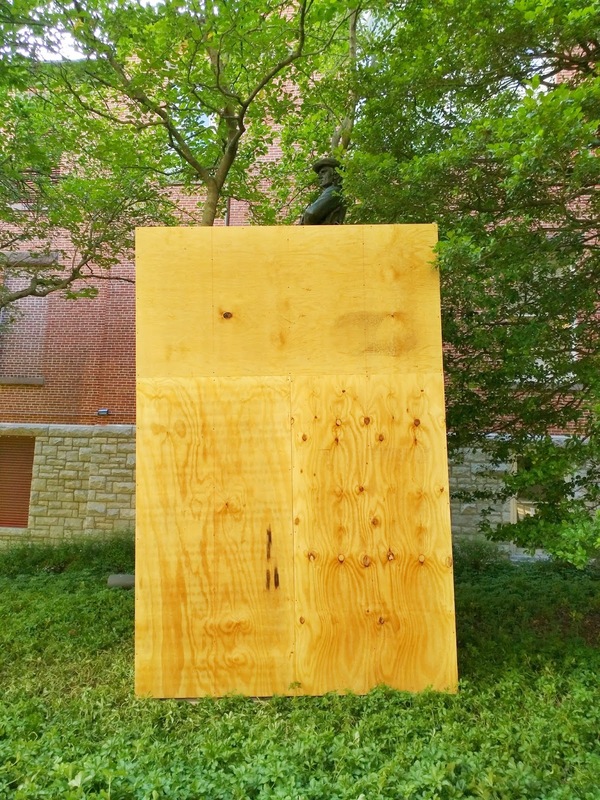 The future of the statue is expected to be discussed by the Mayor and Council at their meeting Monday evening. 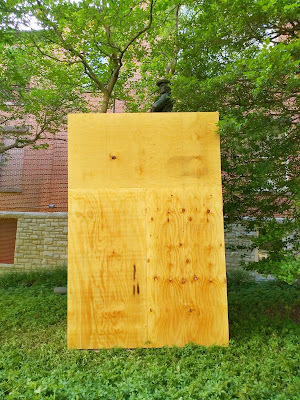 However, the city's Historic District Commission must weigh in on the matter, and they are not scheduled to meet until September 17.